Matteo Salvini, left, leader of Lega political party and Silvio Berlusconi, Leader of Forza Italia, speak to the media after meetings with Italian President Sergio Mattarella on Monday in Rome, Italy. Italy's president on Monday proposed a "neutral" caretaker government until new elections can be held, following weeks of coalition talks that failed to forge a workable alliance. Over many weeks of government formation negotiations, the two main winners of the March 4 election, the maverick 5-Star-Movement and the anti-immigrant and anti-European Union League, stubbornly refused to budge from their demands, each insisting on a dominant role in the new government – seemingly unaware that in a proportional election system, like Italy's, political compromise is necessary. "We can't wait any longer," President Sergio Mattarella, who appeared visibly annoyed by the deadlock, said in a televised statement. "Let the parties decide of their own free will if they should give full powers to a government... or else new elections in the month of July or the autumn," he said. Mattarella's major concern is that Italy have a fully functioning government in the weeks ahead when the European Union will make important decisions on immigration and the common currency, the Euro, and to lessen the risk that an unstable political situation will make Italy the target of risky financial speculation on international markets. 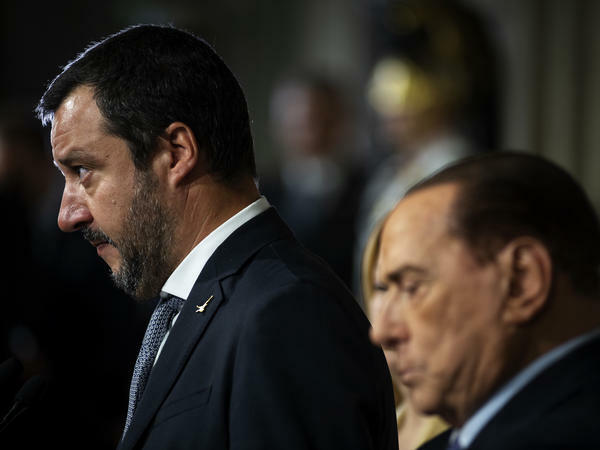 Many political commentators also stress the need to reassure Italy's EU partners at a time when both The League and the 5-Star-Movement are calling for a referendum on whether to pull Italy out of the common currency. Mattarella is expected to announce the name of his pick for a new prime minister by Wednesday. Several commentators believe it will be a woman, which would be a first in Italy.